ST. GEORGE — One company in St. George is using the power of technology to bridge the gap between people around the world and their access to justice and legal services. 1LAW, a personal injury law firm that started in St. George and has multiple locations in the U.S., is now an internationally known brand because of the technology it created to help those around the world get better access to justice. Tyler Todd, an attorney who specializes in personal injury at 1LAW and chief executive officer for 1LAW Technologies, has been a part of the movement and has been invited to speak at conferences across the world about the technology. 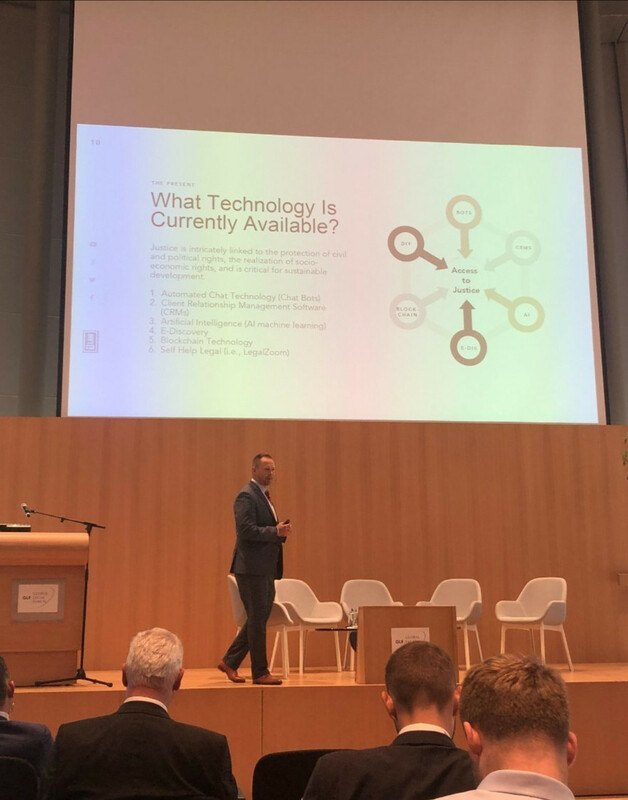 Todd presented at the Global Legal Forum at the Peace Palace in The Hague, Netherlands, earlier this month. The forum brings together law ministries, legal academics, judiciary, law firms, in-house counsels and legal technology companies to discuss issues regarding society and the legal industry. A team from 1LAW has created the Docubot app, where consumers can have access to free automated forms such as wills, power of attorney and medical directives. One of the features on the Docubot app generates over a thousand legal forms from multiple databases. “It automates a lot of processes that are often tedious and time consuming,” Todd said. Docubot users can even access lawyers through video or SMS, and the app has a chatbot technology where lawyers can interact with their clients. Besides the Netherlands, 1LAW members have done other presentations all over the world this year, from New York to Tokyo, to make people aware of the technology and get lawyers to utilize it. Todd said the 1LAW network currently has over 1,200 lawyers from around the world using the app and its features. You can learn more about the 1LAW network and its app by visiting the 1LAW website.